Do you want to improve your performance out on the slopes? Do you want your feet to be comfortable and warm for a full day on the snow? For those who have problems with boots, if your feet hurt, customizing your boot to your foot is the answer. Custom Boot Fitting is helps you to find a boot that fits your needs. First you must start with the right boot. How do you know what is the right boot for you? You can’t go by just your ability level. Your weight, strength, aggressiveness, ability level and the composition of the boot all determine the best boot that will best fit your needs and make you a better boarder or skier. Not all ski or snowboard boots are made the same. Each manufacturer has different molds and designs. Just as you have a favorite brand of jeans because they fit your shape better than the other brand, different brands of boots have different shapes. And golf clubs or fishing poles come in different stiffness levels, so does different materials used in ski and snowboard boots. Ski boots range in flex levels from 40 to 130. You must find the brand of boots to fit your foots’ shape and the stiffness level to fit your weight, strength and aggressiveness. To determine the proper flex, you must try on the boot and flex about 3 to 5 inches. If you flex more, you need a stiffer boot. If you can’t flex 3 to 5 inches you need a softer boot. You also must have the correct size to eliminate any slosh inside your boots. When you are in your car going around a tight turn, you hold on to the steering wheel with a firm tight grip. Your feet are your steering for your skis or board. Boots that are too big will inhibit your reaction time from when your brain tells your feet to move, which then transfers to the motion that moves your ski or board. And if you have high arches or other foot abnormalities a customized foot bed or orthotics may be recommended. Sounds complicated? 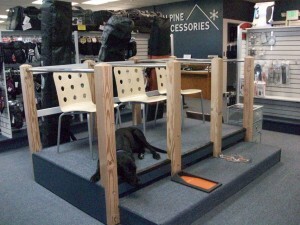 Go to your local specialty ski shop that will have experienced and trained technicians to fit. You’ll get to ski or board better with the right performance level to your needs. 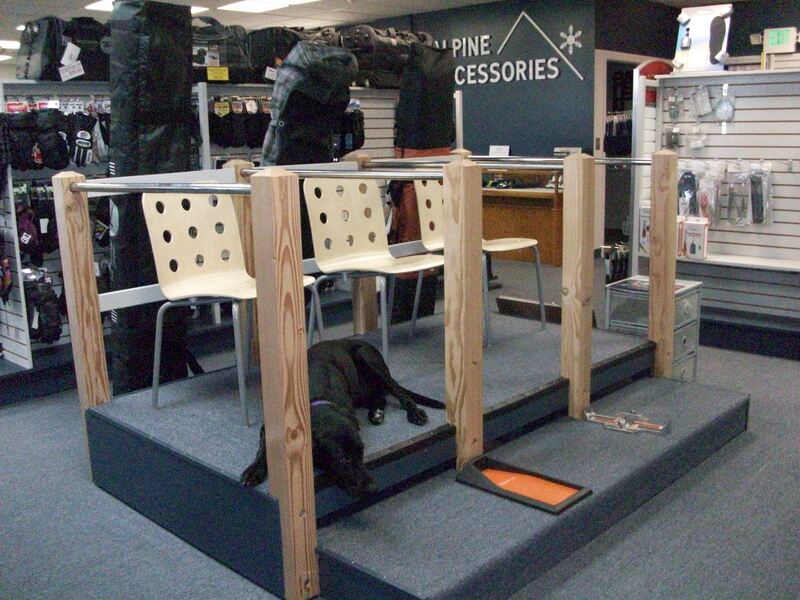 At Alpine Accessories, Rick Pasturczak has over 30 years in boot fitting experience. As a part of our recent store remodel, a new boot fitting bench has been designed to make it easier for your to try on boots in a safe environment. Ski Shop Expansion | K2 Skis are In!